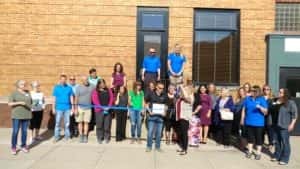 Members of the Perry Chamber of Commerce and community headed to the Towncraft Building Tuesday morning to help welcome one of the newest businesses in the City. 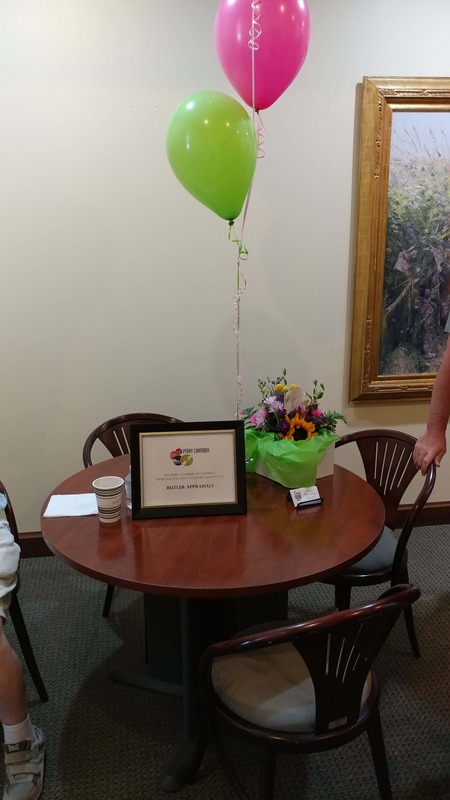 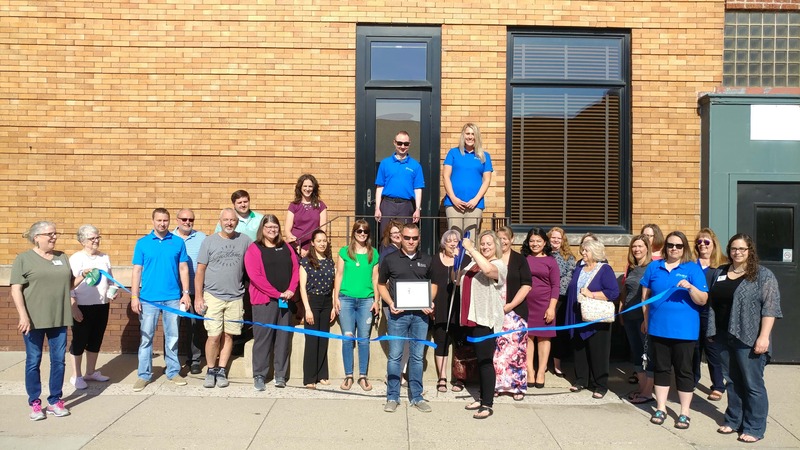 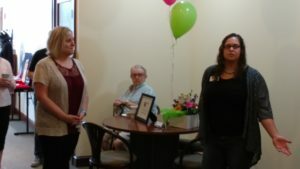 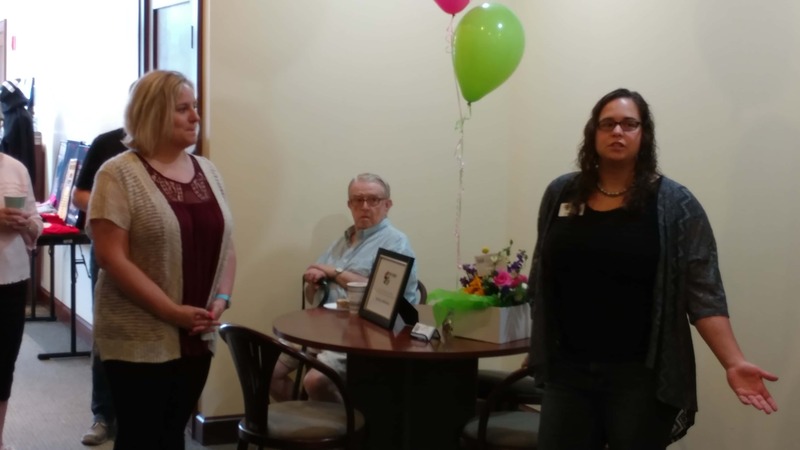 Butler Appraisals has been an operating member of the Chamber since earlier this year, but the Chamber officially heralded their arrival with a ceremonial ribbon-cutting. Owner Erin Butler operates her business out of the Towncraft building, which also serves as the Chamber offices and the City’s coworking space. 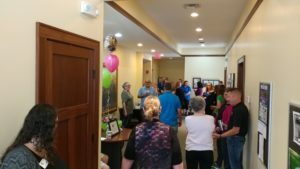 Attendees at the event were able to tour the facilities and learn more about the business conducted there. 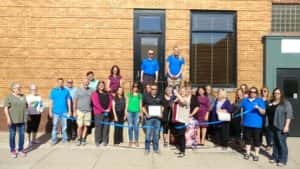 Everyone then gathered outside on 2nd Street, where Butler used the giant Chamber scissors to cut the ribbon.